W Magazine has 2 new pictures of Rob and cheer-worthy words about his performance in Good Time in their Best Performances of the Year recap! "Growing up, I was pretty much a dork. I really liked playing Warhammer, but I never actually figured out the rules. I just made up my own. So I never played with anybody else, because I was playing by my own rules. I was alone a lot." 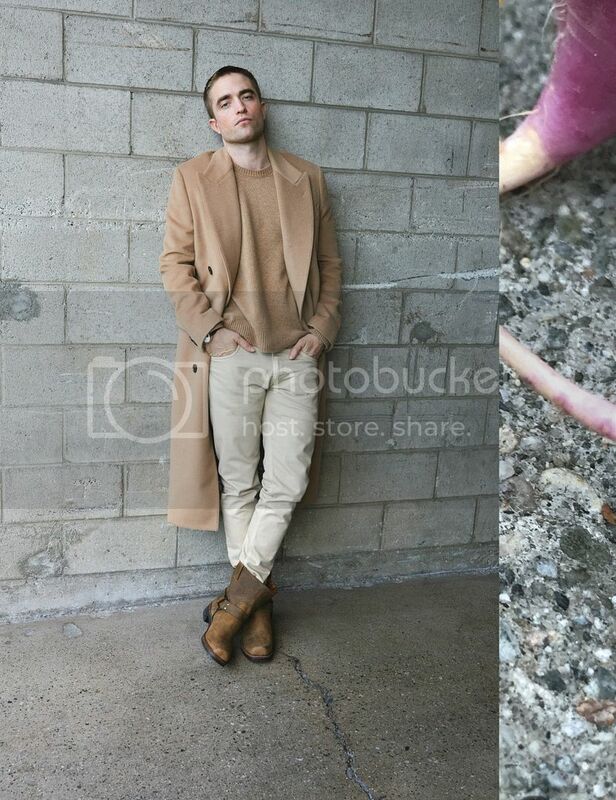 Robert Pattinson wears a Burberry coat; Dior Homme sweater; Berluti pants; Rolex watch; the Frye Company boots. Robert Pattinson wears Dior Homme tuxedo, shirt, and bow tie.